During the Summer Session (June 24 2019 through September 2 2019), we offer a flexible sign-up schedule of individual lessons. Both our existing students and new students have the opportunity to sign-up for whatever times and teachers best fit their schedule and goals. All our teachers work as a team to offer lesson times every week and to offer continuity of instruction to all students. We've offered this unusual and collaborative summer program every summer since 2010. If you're interested in all the details, scroll down for complete info. During the Summer Session, we maintain an online schedule which students use to schedule lessons. A planning calendar showing each teacher's availability will be available and linked here by early May. The sign-up schedule will be available by June 11. Each summer since 2013 (and in some prior summers as well), we've offered a unique progam of supplementary enrichment classes from late June through late July. This summer, we’re focusing on FREE* classes that support the work our students are already doing through their regular lessons. 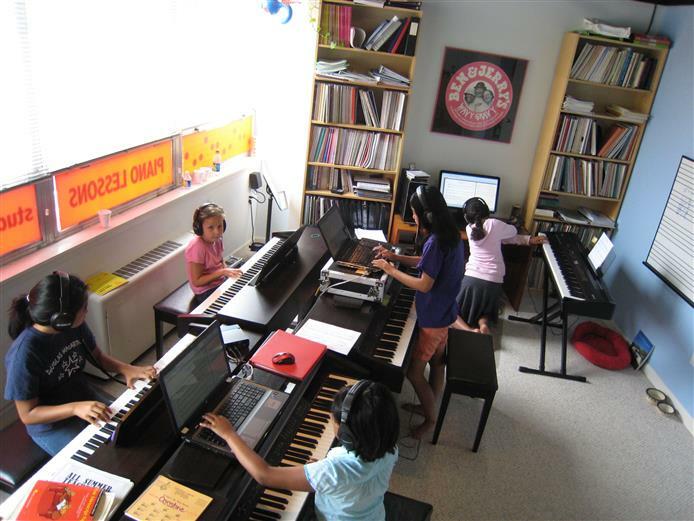 Practice Partners (Age 6 to 13) ♫ Positive fun FREE* practice help! We pair our younger students with our most experienced teens for a scant hour of positive practice help with a bit of supplementary fun. You will leave the class being able to do things that you could not when you arrived. More fun and more effective than practicing at home! Plus, your participation supports the growth of our advancing youth. Combined with your regular lesson, you’ll experience a major boost in your short-term progress. And in many circumstances, Practice Partners may be more helpful than a regular lesson! Cost: Free, if you appear. No-shows and late cancellations will be charged $19, no exceptions. Schedule: TBA. Schedule available by early May. Online sign-up availably by June 11. Notes: Yes, we pay our assistant-teachers for their time. You may come as often as you like; please sign up freely! We reserve the right to cancel sign-ups with three+ days notice in order to preserve availability for the greatest number of students. New this summer, we’ll host youth Performance Workshop and Adult Open Rehearsal Workshops on select dates. 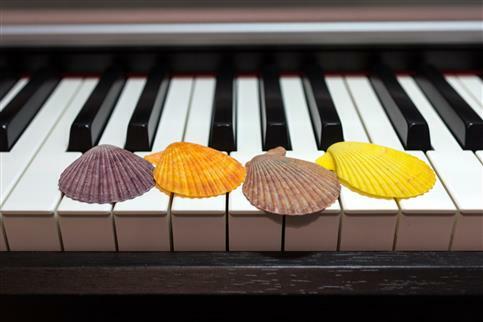 The format will be similar to our school-year workshops and will give students the opportunity to connect with piano peers and to develop repertoire for performance in fall classes or events. Students are encouraged but not required to share their music by performing for the class. Students who find ways to stay engaged through the summer are the students who will be most successful over the long term. These classes can help keep you engaged! Schedule: July 11 at 7PM ♪ July 27 at 3PM ♪ August 8 at 7PM ♪ August 17 at 10AM ♪ Adults: July 21 at 7:30 PM. Online sign-up available by June 11. Minimum Enrollment: Four students. Consider signing up with a friend! Notes: Instructor: Ms. Mitsopoulou. Youth classes are recommended for students in rising 7th to rising 11th grades. Younger students ages 8+ are also welcome. Adult class restricted to age 16+ only. Each summer since 2013 (and in several prior summers as well) we’ve offered enrichment workshops on various topics with low tuition rates and flexible a-la-carte sign up. While I’ve greatly enjoyed exploring these special topics with our students, the limited impact of the program and many competing demands on our time and space prevents us from offering a similar schedule of classes this year. This summer, we’re focusing on FREE* classes that support the work our students are already doing through their regular lessons. No classes are intended as a complete session. Sign up for as many classes as you can, or as few as you wish. All classes are free, if you appear. No-shows and late cancellations (less than 48 hours) will be charged at $19 per class, regardless of the reason. We also charge a $35 annual registration fee. There is no requirement that you also take individual lessons; however, we do not intend the classes to replace individual lessons. Practicing at home will help you get more out of our classes! However, at-home practice is not specifically required for any classes. Because we would like to plan activities appropriate to the age/level/interests of the specific participating students, registration may close as early as seven days in advance of the class. We will try to hold registration open later if possible. We Welcome New Students to Our Enrichment Classes! Students in the community may attend classes for free all summer long for just one $35 registration fee. Note that these are not beginner classes and that one+ year prior experience is recommended. Students who pursue their studies year-round experience faster growth and greater achievement. But we know that everyone’s schedules get scrambled in the summer. We want you to be able to choose a schedule of summer lessons that makes sense for your family and fits your interest and goals. Scheduling summer lessons separately from the school-year allows us to best reach all our students! How Can I Sign Up? What Does It Cost? No problem! You may make changes/cancellations until 48 hours before the lesson. You are encouraged to sign up for lessons with any instructor, regardless of who your regular teacher may be. This helps us to better meet your scheduling needs. Plus, we think you'll benefit from the additional perspective! You will know the name of the teacher when you sign up. No…however…it's impossible to imagine any serious student taking off the entire summer every year. Yoursummer is probably long enough to enjoy a period of rest and relaxation and a period of productive study. Can I Sign Up for Shorter Lessons? Yes…however…shorter lessons make it hard to cover the student’s material. If you're looking to reduce your work-load or try something different, talk to your teacher or to Mr. Horowitz. Can I just Practice Independently During the Summer? Yes…however…experience shows that most students won’t. Of those who do, many will struggle to practice effectively. How Does the June Schedule and Tuition Work? Our regular schedule runs through and including June 23 rd . During the ten-month School Year, tuition is based on ten equal monthly payments. There are between 37 and 39 scheduled weekly individual lessons throughout the course of the school year, depending on the day of the week. In theory, summer is a great time to begin lessons because there is plenty of time to practice! In reality, this benefit is often outweighed by the challenge of maintaining consistent weekly attendance. Every situation is different; we will accept new students during the summer session on a case-by-case basis. I am on the sign-up schedule on limited hours…but I am here for all of you, year-round! I’ll make sure every student of every teacher has the personal attention they need. Just call or email me. Call us to discuss! Let's figure out what makes the most sense for your individual situation.